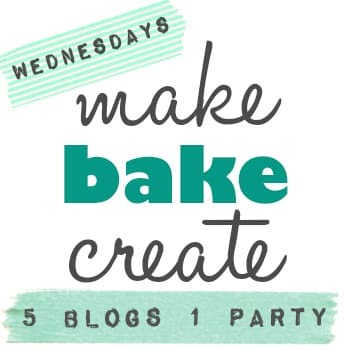 Welcome to Week 6 of the Make Bake Create Party! I really enjoyed all of your links last week and look forward to seeing what you link up this week! Check out my Top 5 Mother's Day Brunch Ideas I posted yesterday using some of YOUR links! hosts... your link will be seen on 5 blogs at once. SWEET! This weeks official party host is Rachel from Bubbly Nature Creations! All of us Oklahoma girls (which is all of us but Sarah....we need to fix that Sarah!) went to the AMAZING SoFabCon this weekend! You really do need to head to Rachels site and figure out why we are all dressed like this! Yesterday I shared with you my Top 5 Mother's Day Brunch Ideas. 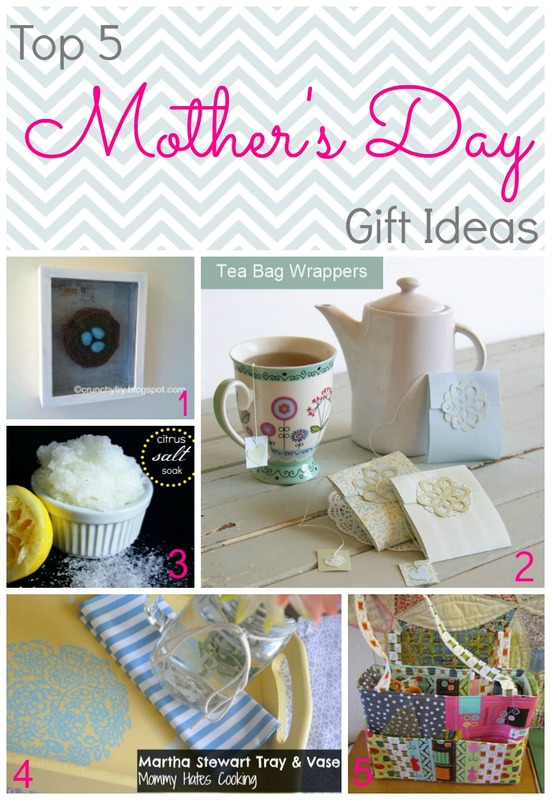 Today I will be sharing with you my Top 5 Mother's Day Gift Ideas! These all came from last weeks party! 1) I ADORE shadowboxes! This Shabby Shadowbox from Jennifer at The Crunchy Fry is just adorable and combines so many of my favorite design elements! 2) Tea is such a great gift paired with a cute teacup or kettle. Why not dress up the individual bags with these Tea Bag Wrappers from Christine at The DIY Dreamer? 3) Soaking your tired aching feet is a GREAT way for busy moms to relax. I posted this Citrus Foot Soak a few weeks ago, add in a few magazines and to me, this is the perfect gift! 4) Kristy at Mommy Hates Cooking made the cutest Tray & Vase that would be perfect for a great breakfast in bed! 5) I love using bags with LOTS of pockets for all sorts of things all over the house! They are great for crafts, sewing, crochet....and can double as a double bag! Be sure to head over to Missy's Homemaking Adventures to find out how to make a Sewing Tool Caddy for yourself! Thank you all so much for linking up last week! 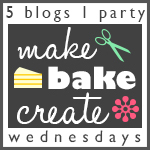 Make sure to follow our Make Bake Create Party Pin Board where we will be pinning the projects linked up here! ALSO Your DIY project or recipe may be made by one of us. So make sure to link up one of your favorite projects and we may put it to the test ! It will be shared by all of us (with links back to your recipe or craft of course). We will also be hosting a Make Bake Create Google Hangout too (TBA)! So stay tuned!!! * You may link up any DIY/ recipe/ food type post. * Be sure to include The Make Bake Create button or text link to in your linked post; this is recommended to be featured! With that said.......It's time to LINKUP!